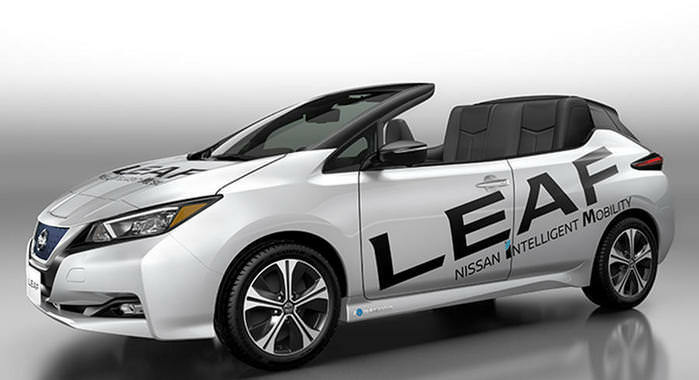 Nissan just unveiled a Leaf roadster concept, called the Nissan Leaf Open Car, to celebrate the EV's milestone of 100,000 sales in Japan. Not only has the roof been removed, but so have the rear doors, and there doesn't appear to be any sort of folding roof mechanism. Doesn't look like there have been any changes to the standard 40kW powertrain. Are they actually planning on producing this variant? Because it actually looks pretty good without a roof and two doors, just improve the seats so they don't look as square and it'll be perfect! It'll also be the first of it's kind. There has been no indication that this would ever see production, but I do hope that we start seeing more sporty electric variants like this concept. Perhaps in the next generation model, once Nissan has nailed down the performance specs, they can look to more creative designs. Nissan already has another electric crossover in the pipeline and some of the early concepts looks pretty sleek. Don't think we'll see many changes to the Leaf until the next generation models, aside from the more powerful battery pack they have coming. 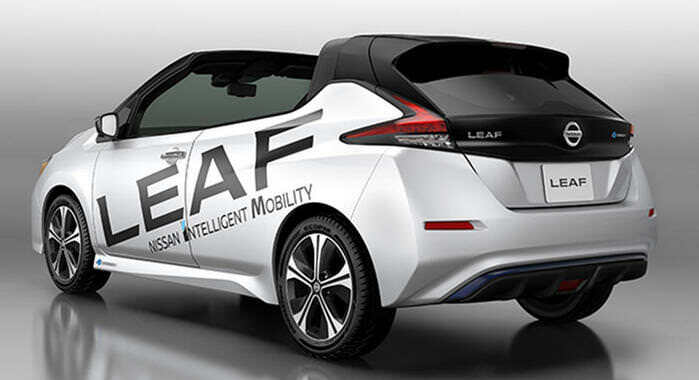 Thought Nissan would want to reuse the Leaf platform for other variants. That'll save them money and time unless they're going for something more sporty like a coupe or sedan. Considering some of the shortcomings of the new Leaf, it might actually be better for Nissan to develop a new platform for their future EV models. Unless of course they find a way to address battery issues with a software/retrofix on current models. I think a T-roof design could be pretty neat on an electric. 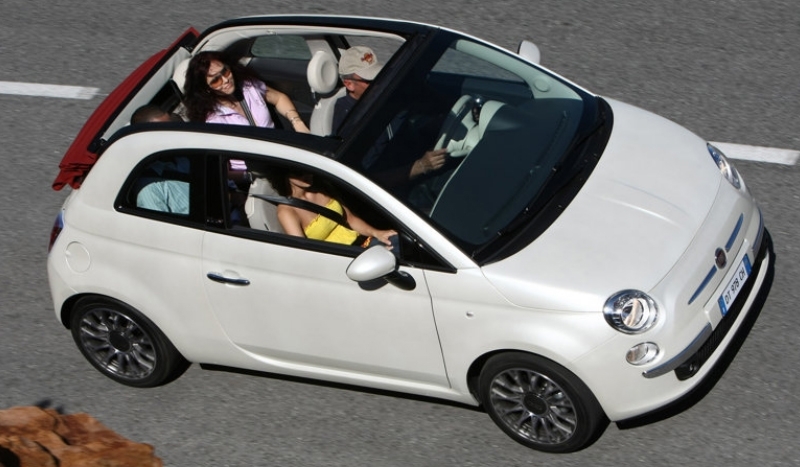 There are more than enough models offering panoramic roofs these days. One would think a car with no emissions or noise would be greatly complimented by a convertible option. I do think auto makers are currently trying to nail down the technological components before they get creative with aesthetic designs. I know that Volvo is considering a convertible option for their upcoming Polestar, but that's a premium model with a hefty price tag. And I'm pretty sure the Fortwo was released as a convertible, though I don't think that fulfills the needs of most drivers. Yeah but the 500 isn't an electric, although FCA has announced that it will be in its next generation. I don't think it'll be offered in North America though, as its being designed solely as an inner city commuter car.